African-Americans received only 4.5 percent or $53.0 million of the $221 million the city of Virginia Beach spent with Small Women and Minority (SWAMs)-owned businesses to provide goods and services to the city. This was the findings of a 13-month study the city ordered to determine the disparities in the number, percentage and dollars amount on procurement contracts from SWAMs. The report was presented to the city council and the general public on October 13. The report, conducted by BBC Research and Consulting Company, concluded overall that the minorities only received 18 percent of the $1.2 billion budget the city spent on goods, services and construction projects in the city. The report revealed that companies owned by White women received the highest percentage of SWAM city contracts, 8.2 percent ($95.9 million). Asians received the second highest or 5.6 percent ($66.3 million); African-Americans received 4.5 percent ($53 Million); Hispanics 0.5 percent ($6.3 Million); and Native Americans 0.0 percent. The contract amounts which secured by Asians, according to BBC, went to a single firm. BBC analysis indicated that SWAMs are “underutilized” by the city so far as bidding and securing contracts to provide goods and services to the city. Last summer, Black civic and business leaders pressed for a study after a controversy erupted over claims by former NFL player and businessman Bruce Smith that he and other Black people were being excluded from competing for development projects. Smith has said that he had faced significant barriers as an African-American trying to obtain public-private partnership deals. Using surveys and data for over a five-year period, BBC constructed this initial summary of a final report which will be released in two weeks, according to Taylor V. Adams, the Beach’s Finance Operations Administrator. “The data suggests that there are substantial disparities that exist for many groups, even while the city has been using relatively strong small-business-based measures,” a BBC Presenter told the City Council on Tuesday. The study, which cost the city $425,000, did not include spending by the city’s school division, according to A. Bruce Williams, CEO ABWA Marketing in Virginia Beach. Williams is a leader of the coalition of Black civic and faith leaders who lobbied the council to conduct the study. There are at least four suggestions to remedy the situation, according to the presentation before council, including, unbundling large contracts to allow SWAMs to have a share or subcontract work involving large projects. Also, assuring that SWAMs are aware of the Request for Proposals (RFPs) using media and direct contact; establishing a percentage of city contracts in the form of small business set-asides; and creating more effective race/gender conscious goals to give SWAMs greater access to the city’s procurement system. 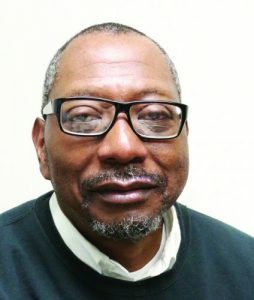 Williams is a member of the 200 Plus Men of Hampton Roads, a group of African-American men who advocate for economic and social equality for Black people. It has lobbied all of the Hampton Road cities to conduct such a survey. Only Virginia Beach, Hampton and the School Board of Portsmouth have done one thus far. Williams said the issue of low minority participation in the state and local procurement systems is a decades-long problem which can only be resolved until locales determine the extent of it.